Which are the free uses of ARTNATOMYA? What are the attribution guidelines I need to follow when using ARTNATOMYA content in print, broadcast, and on the web? I am a professor/instructor. Do I need permission to use ARTNATOMYA images in the classroom, build my lectures around ARTNATOMYA apps and display content from the apps during presentations? How do I get permission to use visuals from ARTNATOMYA apps on my website, in my course materials, or in a publication. Can I install copies of ARTNATOMYA apps in my lab? How can my students purchase ARTNATOMYA apps? I am a student. Can I use ARTNATOMYA images as a study tool or in a school project or paper? Which are the commercial uses of ARTNATOMYA? How do I submit a request for a license quote? Is there any other system to buy your products? Do you ship it physically? Which are the differences between ARTNATOMYA 2017 edition app for sale and the online free app? Attribution. You must link and attribute the work in the manner specified by the author (but not in any way that suggests that they endorse you or your use of the work). See the correct reference. Noncommercial. You may not use this work for commercial purposes, neither incorporate or frame it on another site. For noncommercial uses by instructors or professors, you may qualify for extended free permissions. Read the FAQS below to better understand our guidelines. ARTNATOMYA grants permissions to use our content in print, broadcast, and on the web if certain conditions are met. AS LONG AS THE USE IS NONCOMMERCIAL, ARTNATOMYA permits you to publish up to five ARTNATOMYA images or 20 seconds of video. These image can be made available in print, web, or broadcast, AS LONG AS THE USE IS NONCOMMERCIAL and you follow the attribution guidelines below. For any commercial use of a ARTNATOMYA images, you must submit a request for a license quote. Pricing to license images for commercial use (books, dvd, etc) starts at $200 per image. – What are the attribution guidelines I need to follow when using ARTNATOMYA content free? Display the full interface, including the ARTNATOMYA logo, in print or on screen when application is initially on screen. Thereafter, focused and cropped images are permissible. Display www.artnatomia.net. This url should appear at a legible font and stay on the screen for at least two seconds. If you are a professor/instructor, this url can appear on your syllabus or the website for the course. Include "Image courtesy of ARTNATOMYA (www.artnatomia.net)" below the image or on the credits page. Wrong example – Popular book “Liespotting” by Pamela Meyer, in Chapter 3 on page 53, quotes in inaccurate manner ARTNATOMYA (even if we think proper reference is clearly specified in our site since 2006 for such a clever author as Meyer...) and furthermore, just with a link that does not work (click image to see screen shot). Permissions: Using ARTNATOMYA materials for presentations, publications, and online. We make some limited use of content from our apps free and no permissions is necessary. To see if your request qualifies check on this page. In summary, if you are a professor using the app in a course or a students, or limiting your use to a few images for noncommercial purposes, permissions might be free. Otherwise, you can request permission by filling our Contact Form. – I am a professor/instructor. Can I use ARTNATOMYA images in the classroom, build my lectures around ARTNATOMYA apps and display content from the apps during presentations? Do I need permission to do this? If your school has a site license to our products, both you and your students have access to ARTNATOMYA apps and no additional permissions are required. 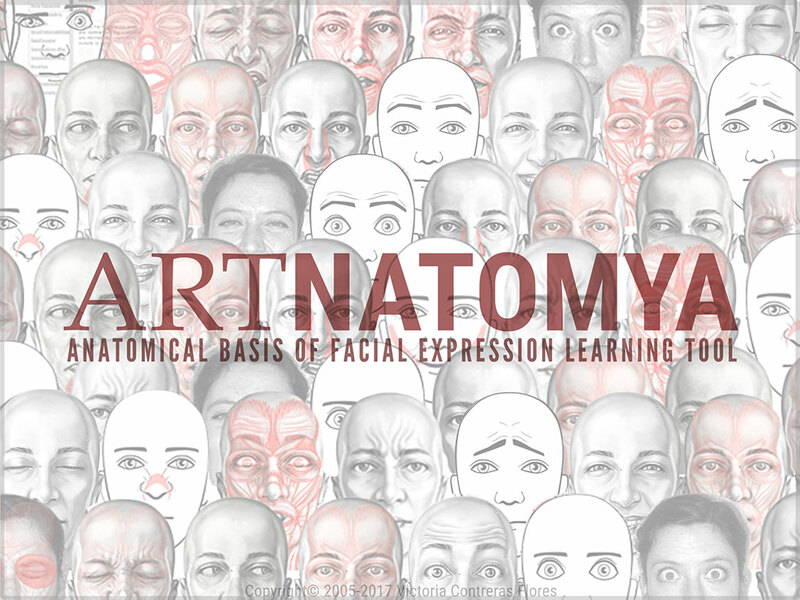 If you are a professor who requires ARTNATOMYA apps on your course syllabus, you may teach with our products with no restrictions. If you do not meet either of these scenarios, we require a professional use license for you to teach with ARTNATOMYA apps in the classroom. A professional use license starts at $100 per year. - How do I get permission to use visuals from ARTNATOMYA apps on my website, in my course materials, or in a publication. Your course syllabus must require a ARTNATOMYA product or provide instructions for accessing your school's site-licensed ARTNATOMYA product. You must follow the attribution guidelines when using an image in your lecture notes or course materials. This material must be circulated exclusively to students in the course. You may not sell, in any form, the course materials that include ARTNATOMYA content. You may not make the materials that include ARTNATOMYA content available on any website that includes advertising. If your course materials meet the above criteria, specific permission is not required. Simply follow the attribution guidelines explained below. If your course materials do not meet the above criteria, we are happy to provide you a quote for using images from our apps. Please note that pricing to license images for commercial use starts at $200 per image. To receive a bid for your particular licensing needs submit a permissions request. Include your school, course name and number, and your request. – Can I install copies of ARTNATOMYA apps in my lab? The apps we sell at our web store and through iTunes and Google Play are for individual use. If you intend to install our products on desktop computers in a lab or similar location where many people have access to the apps you need a multi-user license. ARTNATOMYA offers multi-user seat licenses to provide you with copies of ARTNATOMYA apps for multiple users. Get information about a ARTNATOMYA site licenses for your school or institution by filling out our Contact Form . For how long do students get access to ARTNATOMYA? If your students will be buying ARTNATOMYA from our web store, iTunes App Store, or Google Play the app is a one time buy. If access is through your school's subscription, a student's access is governed by their enrollment and the school's subscription to the product. For more information on school subscriptions, send a request for information by filling out this short form. – How can my students purchase ARTNATOMYA apps? Your institution can purchase a site license for students. Get information about a ARTNATOMYA site license for your school or institution by filling out our Contact Form. – I am a student. Can I use ARTNATOMYA images as a study tool or in a school project or paper? If you are a student and you'd like to use no more than five images in a paper or presentation that is circulated only to instructors and other students in your course, specific permission is not required. Simply follow the attribution guidelines explained below. If you want to use more than five ARTNATOMYA images in any other context, please submit a request for a license quote. Include a description of your project (type of media), explanation of distribution (who will see this), and include the images you intend to use. COMMERCIAL USE (books, DVD, etc) OF ARTNATOMYA images. If your work/book/DVD/presentation is going to be commercialized, the use of Artnatomy application or images is NOT FREE (even if you buy the application). Visit ARTNATOMYA EXPRESSIONS LIBRARY to buy high definition images. The copyright of these images belongs exclusively to Victoria Contreras. Illustrations are priced and licensed accordingly. Purchase og these image sets entitles users to include them in noncommercial (academic research) publications and for personal use (teaching or displaying). In no case purchase entitles user to manipulate the images, use it to create derivative works, reproduce it or distribute to third parties. If you require information on commercial licensing rights, please please read our FAQ and contact us before publication. We also accept commissoned works (2d or 3d), so feel free to contact us anyway and we will study your illustration needs and a fair budget, depending on the number of images or animations needs. – How do I submit a request for a license quote? How do I buy mutliple copies of an app to use in my business? I’m a product manager at a pharma company and I want to train my team using ARTNATOMYA apps. ARTNATOMYA offers a bulk purchase package so that you many offer a number of ARTNATOMYA apps to single users. Packages start at $500. Request information on a bulk purchase for single users. Does ARTNATOMYA create custom products? My company would like to add marketing materials to a version of your app and distribute to customers. We are always looking for channel partners. Fill out our Contact form and we will be in touch. Does ARTNATOMYA have an affiliate program or a reseller program? My company would like to distribute ARTNATOMYA apps. – What if I have more questions? Please use Contact Form below to write us any questions, comments, or suggestions. We don't make sales outside described platforms in our sales page, nor either physical shipments of our products. – What is the difference between the content in ARTNATOMYA 2017 Edition and ARTNATOMYA online free app? ARTNATOMYA 2017 Edition runs offline without need of an internet connection. Adds full animations for Schematic and Naturalistic models when activating ACTIONS tab on Level 1. Adds Photographic examples for MOVEMENTS and EXPRESSIONS on Level 2. – In what languages are your apps available? Is each language a separate purchases? English and spanish version of ARTNATOMYA are built as two differents apps. Customers can switch the app language before making purchase. Can I frame ARTNATOMYA app on my site? NO: incorporation or framing of ARTNATOMYA in other sites is NOT ALLOWED but we appreciate any link to this site. This is an spanish/english tool, so if you are going to link it on your web or blog, follow our Terms & Conditions rules and please link to the main url, www.artnatomia.net (not just the url of your language) mentioning the complete reference (the correct one is the same as for Academic works above). Type of content in which you will be using our images. Type and description of media (examples: book, professional magazine, medical journal) in which you will be using our images. Number of images you would like to use. Which ARTNATOMYA products contain the images you would like to use.